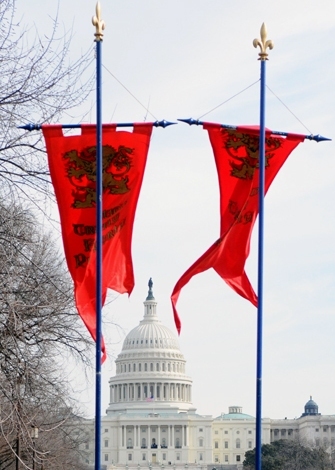 On this 46th annual March for Life, the American Society for the Defense of Tradition, Family and Property (TFP) joins with the multitudes of Americans all over the nation who oppose abortion and a wide spectrum of related moral issues ranging from the attack on marriage to euthanasia to gender ideology. As we march this year, we are united more than ever and encouraged by the recent Supreme Court appointments that open new possibilities to define the legal personhood of the unborn child. While we oppose the Roe v. Wade decision, we also consider that the anti-abortion struggle has been, is and always will be a religious battle. Our strength in God sustains us and will give us victory should we remain faithful. Foremost in the pro-life ranks are Catholics across the country. This is because the Church’s teachings on abortion have always been clear and unequivocal: Procured abortion is murder. There are no exceptions allowed, no compromises possible. We are proud to join with so many American Catholics who have been a monolithic force at the service of the anti-abortion struggle. However, the foundations of this great force were shaken by the most recent scandals that are rocking the Catholic Church at the highest levels. 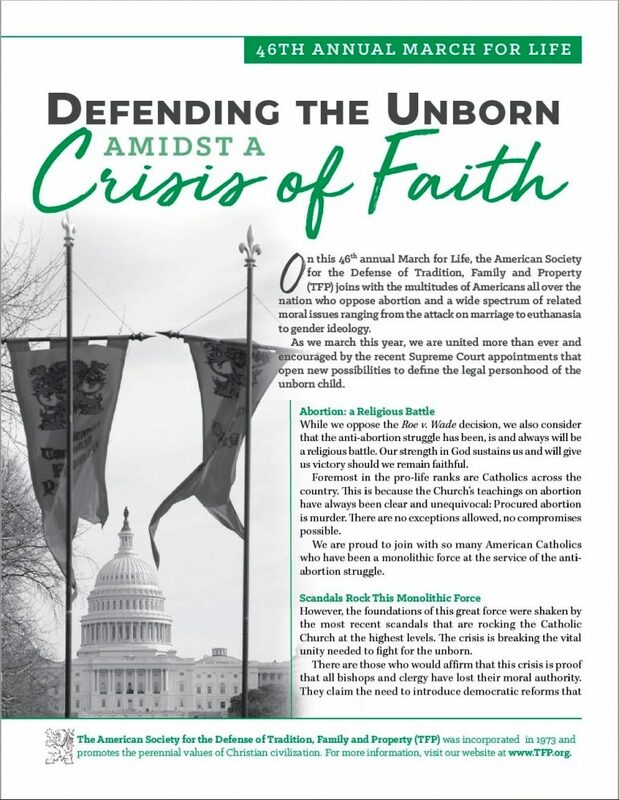 The crisis is breaking the vital unity needed to fight for the unborn. There are those who would affirm that this crisis is proof that all bishops and clergy have lost their moral authority. They claim the need to introduce democratic reforms that contradict Church teachings. The media are engaging in a blitz to portray the Church defined by the sins of Her human members and not by Her Divine origins and doctrines. We reject these claims. This is not a crisis of Church governing structures but above all one of Faith. In reply, we present the following statement. “Thou art Peter; and upon this rock I will build My Church, and the gates of Hell shall not prevail against Her” (Matt. 16:18). To this first promise, Our Lord added a second: “Heaven and earth will pass away, but My words will not pass away” (Matt. 24:35). Thus did Jesus Christ establish the One Holy Roman Catholic and Apostolic Church, sealing Her immortality with His divine guarantee. The violence of the storm currently assailing the Church would likely bring down many a human institution, but not the institution supported by God’s own promises. The Church’s enemies try with all their might to defame and dishonor Her. They hurl mud and muck, but they fail to sully Her. They declare that She cannot survive the scandals perpetrated within and against Her, but their words ring with the uncertainty that it will indeed be so. Confronted with the silent testimony of history, they know by experience that the Church is both holy and immortal. Nothing stains Her, not even infamy rising from Her ranks, for She is the spotless Bride of Christ. Even at the height of His passion—when the insults against His Divine Person, the wounds inflicted on His Sacred Body, and His public humiliation had reached their apex—the Word of God Incarnate lost none of the grandeur in His moral profile. 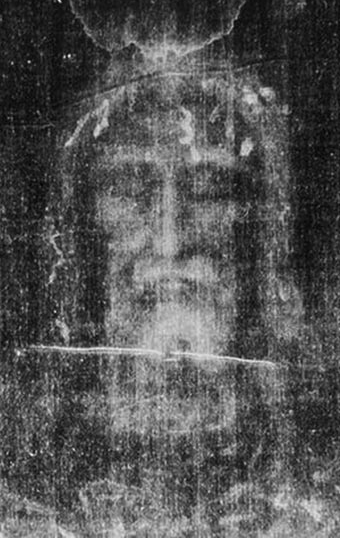 We see this in the Holy Shroud of Turin. Here is a Man atrociously wounded, one would almost say crushed, yet, no painting or sculpture of a king presents more majesty, dignity, or honor than the figure stamped on that burial cloth. So it is with the Catholic Church today. At the height of Her passion, betrayed ignobly from within, attacked fiercely from without, nothing can disturb Her serenity. When this frightful storm finally abates, She will appear again radiant and victorious. But while the storm lasts, the suffering is intense, and our faith is tested. For us Catholics this means the shocking realization that a hostile element, a horrendous cancer, grows within the Mystical Body of Christ. We shudder at the tragic and unnatural “peaceful coexistence” between vice and that which is virtuous and holy. The existence of homosexuality(1) in the institution that is the very soul of purity and chastity is deplorable beyond words. Equally deplorable is the fact that this “peaceful coexistence” has lasted for decades due to the unpardonable connivance of shepherds who should have been ready to lay down their lives if necessary to prevent this evil from gaining access to the fold. These same media have no qualms about unleashing a ferocious uproar against the Church, Her doctrine and morals. Adding insult to injury, they give the impression that the criminal behavior of some is the general rule. This is a supreme injustice to all the priests and religious who are faithful to their vows. Moreover, they suggest that the scandals exist because of clerical celibacy. Callously oblivious to the faith and feeling of one billion Catholics, they make scant attempt to show the other side of the coin, namely the sublimity of the Catholic priesthood as reflected in its saints down through the ages. Let us put aside, however, this external assault on the Church and focus on the more important problem within. The first step in solving any problem consists in its thorough and accurate analysis. Then we can see its detrimental consequences and especially its root cause. The problem would not exist but for the most culpable negligence of numerous shepherds and, in some cases, the most condemnable complicity of others. There is much for the clergy to address within its ranks, vigorously and urgently. 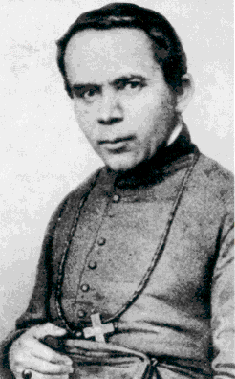 Oh, how many tears will turn to joy when the faithful see bishops like our glorious Saint John Neumann, Philadelphia’s fourth (1852-1860), fearlessly taking on those who would harm Christ’s “little flock.” It behooves us all to beseech God earnestly to send saints and heroes to teach, govern, and sanctify His flock. Is the clergy alone responsible, though? Is there not the possibility that we—the Catholic laity—stand to be blamed as well, if in varying degrees? Surely, we trusted in the watchfulness of our shepherds. Surely, we feel that our trust was betrayed. Nevertheless, Our Lord had more than just the shepherds in mind when He said, “Watch and pray, that you enter not into temptation” (Matt. 26:41); He addressed us as well. Did we “watch and pray?” Unfortunately not. In the Garden of Olives, we would have been among those who slept. If our analysis is to be honest, we must acknowledge this. Decades ago, Pope Paul VI warned that “the smoke of Satan” had entered the Church. (8) He also said that She was undergoing a mysterious process of “self-destruction.”(9) Did we take this warning to heart? Did we investigate this mysterious process? Its methods? How it affected both clergy and faithful? We let this “smoke of Satan” fill every nook and cranny in the Church. Like a stupefying gas, it relaxed and anesthetized us. It diminished our fighting spirit. Indifference became generalized, and the process of “self-destruction” was left free to do its nefarious work. Today we see the consequences. This “smoke of Satan” also spread intellectual and moral “relativism” throughout the Church. (10) This relativism spared nothing: the sublime vocation and sacred persons of priest and bishop; the respectful and prayerful atmosphere within churches; the rules of beauty in Church art and architecture; the reverence due to consecrated religious life; the rules of modesty in dress, not only in public but even in our churches; and so much more. All that elevated the souls of the faithful, all that filled them with admiration and veneration for the supernatural, was targeted. Inevitably this relativism slowly weakened in consciences the notions of good and evil, sin and grace, vice and virtue. The Church’s clear teaching on every aspect of sexual behavior was gradually blurred. Virtue was replaced with a pathetic feel-good spirituality, so that eventually we fell to where we are today, proof positive of the existence of a process dubbed “satanic” by a Pope in our lifetime. Some critics, moved more by emotions and force of habit than clear thinking, will deny this process of “self-destruction.” Unfortunately, the media bring us daily a most palpable sign of its continuation: Seeing the Church so hard pressed by the scandals, Her enemies both within and without are quick to clamor for additional “reform.” In open challenge to Her Supreme Magisterium, they demand that the Church abolish clerical celibacy and accept the ordination of women, divorce, contraception, abortion, and, oddly enough, even homosexuality. This is exactly what the Church should not do! This would be the next step toward the abyss of total relativism. There is only one way to extricate ourselves from the problem we are in—now that our eyes are open. We must retrace our steps. We must return from whence we came. Only in the fullness of Church teaching will we find the solution to the present crisis. The Church has dealt with many problems during 2,000 years. She is no less able to deal with them today. The first and obvious step then is to pray. The second is to watch, as Our Lord commanded. We must hone our ability to watch, to pay attention to lurking danger. Thus, when danger appears—particularly when in sheep’s clothing—we must know how to resist it; we must know how to assess things in the light of Catholic principles. This presupposes a clear understanding of the perennial truths of the Faith and the unchanging principles of morality, for which we must study. This “back to the basics” study of Church teaching will rekindle in our hearts a burning love for all the principles long eroded by relativism. The third step is a proper understanding of sanctity—the heroic struggle for virtue. True and heroic virtue is not anemic or self-centered. It is full of fruits in the apostolate with others. It rejects the comfort zone and the dictates of human respect—the fear of creating complications for ourselves. When faced with opposition, be it from within or without, it does not cringe and boldly proclaims the faith and sound doctrine. The truth is not something to be ashamed of. Our Lord wants us to influence society, as yeast ferments the dough. He expects us to be courageous in the face of public ridicule, like Veronica. He invites us to heroism: “Every one therefore that shall confess Me before men, I will also confess him before My Father Who is in Heaven” (Matt. 10:32). 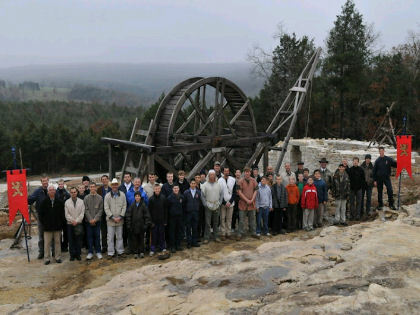 If this crusading spirit burns within our breasts, our ecclesiastical leaders will have no doubt that they can rely on our enthusiastic support, provided they courageously assail this largely unchallenged process of “self-destruction” with the indispensable vigor of shepherds defending their flock from ravenous wolves. If both clergy and faithful carry out their respective duties, with the unfailing help of the Blessed Virgin Mary, of Saint Joseph, Her most chaste spouse and Protector of the Universal Church, of all the angels and saints, we will be rewarded by seeing the Church win one more battle. The present crisis is but one more episode—even if one of the worst—in Her glorious history of struggles. www.ewtn.com/library/CATECHSM/PIUSXCAT.HTM. Theologians give Gen. 19:13 as the scriptural basis for this designation. Catechism of the Catholic Church (New York: Doubleday, 1995) no. 2357, 625. See Gen. 19:1-29; Lev. 18:22; Deut. 22:5. See 2 Pet. 2:6-7; Rom. 1:24-27; 1 Cor. 6:10; 1 Tim. 1:10. St. Peter Damian, The Book of Gomorrah (Patrologia Latina, vol. 145, cols. 159-90) quoted in Roberto de Mattei, L’Église et l’homosexualité (Paris: Pierre Téqui Éditeur, 1995), 12. The homosexual abuse of teenage boys is pederasty (ephebophilia). See Allocution “Resistite fortes in fide,” of Jun. 29, 1972, in Insegnamenti di Paolo VI (Vatican: Poliglotta Vaticana), vol. 10, 707-9. See Allocution “To the Students of the Pontifical Lombard Seminary,” on Dec. 7, 1968, in Insegnamenti di Paolo VI, vol. 6, 1188. Moral “relativism” tries to adapt Catholic doctrine and morality to one’s personal fancies or the ruling form of worldliness. Objective norms of thought and action are thus destroyed. The person becomes the slave of his caprices and those of fashion, as channeled by the media. Eventually, he accepts evil in the guise of good. See Pope John Paul II’s allocution to the religious and priests participating in the First Italian National Congress on Missions to the People for the ’80s, Feb. 6, 1981, L’Osservatore Romano, Feb. 7, 1981. “Alios ego vidi ventos; alias prospexi animo procellas,” Cicero, Familiares, 12, 25, 5. Plinio Corrêa de Oliveira, Revolution and Counter-Revolution (York, Penn. : The American TFP, 1993) 115.